Yes, the rumors are correct. I grew up in Canada – the great white north. Home of the comedian (Google “Canadian Comedians” and see if I jest). It's also the home of – winter – and those dreaded “Canadian cold fronts” that we all dread in Texas. If it's December in Canada, then I can guarantee you that your thoughts aren't on triathlon anymore. It's amazing how the arrival of snow (and eventually a frozen river) have your thoughts focused on three things – hockey, hockey, and Toronto Maple Leaf hockey (and not in that order). So in the time it takes to turn on the electric blanket, brew a mug of hot chocolate, and wait for the first intermission to conclude, let's take a moment to ponder some thoughts for the off-season. As it is the off-season, perhaps you are pondering your goals for next season. Maybe in the midst of all this pondering, you've found a meandering thought of “maybe I can try something longer next season – but what do I do to prepare?”. Let's examine the three primary event distances in triathlon – sprint, Olympic, and Iron. The ratios from one event to another are very similar (though swimming messes with this theory slightly). An Olympic distance event is about twice the length of the sprint – and an Iron-distance event is about 4 times the length of an Olympic distance. Doing my Canadian math (metric system excluded), it would seem that an Iron-distance event is 8 times longer than a sprint. The age-old assumption/conclusion is that training for all of these events is very different. Is it proportionate to the race distance (i.e an Olympic distance is 2 times a sprint distance, thus requiring 2 times the training)? As you have probably come to expect, I would beg to differ. There are some very significant similarities to be found amongst all of them – other than the three disciplines, of course! There is an “engineering challenge” inherent to this – having both power (over the short distances) and efficiency (over the longer distances). We can't have the car with the huge engine – that burns up it's fuel tank quickly because it has so much horsepower. On the other hand, we also can't have the car with the very efficient engine – as it might be limited in the speed that it can go. The beauty of the dynamic (and ever changing) human design, we can train both aspects – with similar training sessions. The human body will always adapt to the imposed demands – something that purely mechanical systems can't do! In past articles on Power, I've hopefully provided some food for thought. I've presented and discussed the benefits of two primary types of training session – the neuromuscular power session, and the neuromuscular efficiency session. I won't repeat those here – Austin Triathletes has them in the archives or you can find them on my website (www.smartsport.info). By building your power output, you ultimately recruit more muscle fibers. Active muscle fibers have more mitochondria, the “energy producer” of the muscle cell. More mitochondria means a greater capacity to produce energy – if there is fuel available to do so. If I can produce energy (by providing a continual supply of fuel to all those mtiochondria), then I will continue to go – as long as my brain will let me. Is the “ability to go longer” dependent upon a greater volume of work? Not neccesarily, and certainly not proportionate to the increase in race distance. Is it based on your aerobic capacity? If it was, we'd all have reached our peak after a moderate level of total overall training. Is it based on having lots of mitochondria, lots of active muscle fibers, and a steady flow of fuel? Absolutely yes! 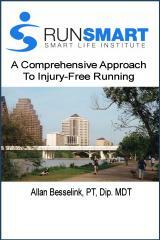 Let me give you a practical example from the running world. When we examine the world's fastest marathoners, we come to find that many are (or have been) very fast 10K runners. They had developed the power output (at 10K) necessary to step up in distance and run fast marathon times. Rarely do you see someone that has a fast marathon time without this power capacity. Two very prominent examples would be Paula Radcliffe and Haile Gebrselassie. In fact, the latter has exhibited the benefits of power vivdly through his career – with 20 world records in events ranging from the 2K, 3K, 2 mile, 5K, 10K, 15K, 10 miles, 20K, half marathon, and 25K - and has run 2:05:56 for the marathon. He is one of only 5 men in history to run under 2:06. For kicks, throw in his 3:31:76 in the 1500 as well! For Gebrselassie, the power output developed at the shorter distances has paid huge dividends as he has decided to “go longer”. If we go back to the world of triathlon, a similar trend can be noted. There are a number of Iron-distance triathletes – such as Chris McCormack, Greg Welch, Spencer Smith, Craig Walton and Simon Lessing, who have focused extensively on short course races – and have then successfully moved from Olympic-distance events to the Iron- distance. What we do know is that there is definitely an inherent power loss over time in a longer event – and typically this involves the inability to produce a muscle contraction over time. For example, can you go out and run your normal 10K at the end of an Olympic distance triathlon? Probably pretty close, though typically not quite. Would you be able to run your normal marathon after you've been out on the course for 9 – 10 (or more) hours? Probably not – being within 20 or 30 minutes would be considered a success for most (though the 2:40:00 run by Mark Allen in one of his victories in Kona might challenge that thought!). This phenomenon isn't so much because of the running aspect as it is the cumulative fatigue (local and central nervous system) associated with the overall duration of the activity. This is an issue of fuel and energy resources – and the obligatory “gray thing between your ears” and how you train it. Much of “going longer” - either from sprint to Olympic, or Olympic to Iron – involves having a good race management plan. This consists of being able to “dose your effort and pacing”, having an appropriate fueling and hydration plan, and maintaining attentional focus. It can be argued that the primary difference between short course and long course is simply “dialing back the power output” proactively and making the requisite adjustments to the fueling/hydration plan for a longer event. On the shorter end, attentional focus would be required because of the high level of exertion, and for a longer race, it is required for the duration of effort and focus on the task of maintaining the race plan. The factor that I've mentioned briefly is “the brain” -and without a doubt, this can be a huge overriding (no pun intended) factor. If I believe something is so, then it is. As Henry Ford said, whether you think you can or think you can't, you are right. For many, their success in longer distance events is built around long training sessions – and lots of them. Though it's not a physiological necessity for success, let's face it – if you think that's the way you are going to succeed, then it is. We've seen this with the placebo effect in medicine – and the literature indicates that up to 70% of all participants in research studies can be affected by this phenomenon. That's not to say that putting in a lot of miles is purely a placebo effect – but it does say that the mind is a very important factor in all of this. Suffice it to say that training the mind is just as important as training the body – at all race distances. Good timing ... the second period is about to begin. As always – Go Leafs – and have a happy holiday season, eh ...!